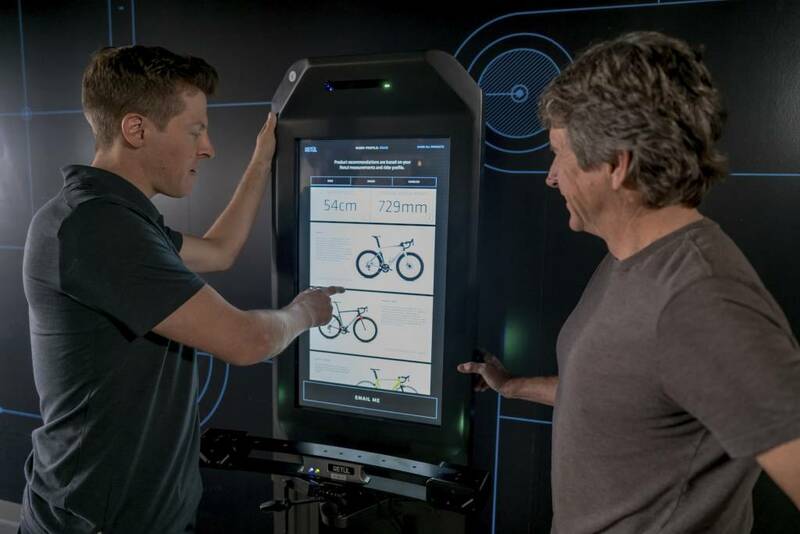 Get measured using leading Retül Bike Fit technology for recommended bike size, shoe size, footbed and saddle width. Have you ever wondered what size bike you should ride, or where to start when getting into a new style of riding? Maybe you’re unsure how cycling shoes should fit, or if the new pair you're eyeing fits differently than the ones you currently wear? With our Match System, you're able to answer all these questions and keep the results stored digitally for future needs, giving you the ability to confidently make the right call on size, no matter the product. You’ll start off by creating your Retül Passport rider profile, which houses all your data and results. You’ll then be asked a series of questions that will allow Match to correctly identify your preferred riding experience. From there, you’ll let Match work its magic—capturing foot size, arch height, and different body segment lengths, with sub-millimeter accuracy—delivering results in mere minutes. Quick. Easy. Insightful.